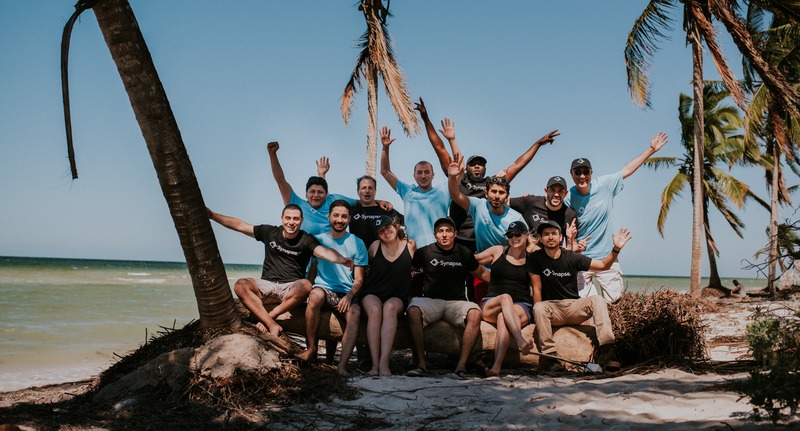 Creating a great corporate culture is a critical component of any business, but when you don't share the same space or even the same country, it’s not without challenges! That's what made Synapse's recent company meeting in Mérida, Mexico so important. And in true Synapse fashion, we hit it out of the park. We wanted to incorporate learning and team building in an environment of open communication. But how do you accomplish that when you have software developers, marketers, and salespeople all participating together? Well, games and activities of course! Here’s how we did it. 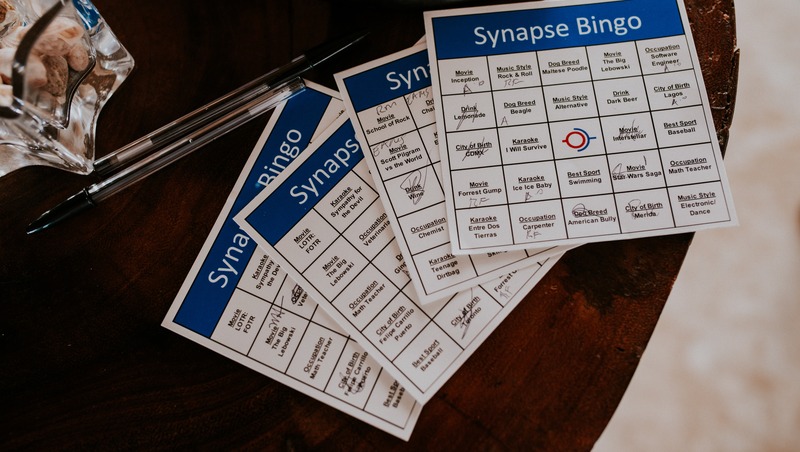 One of the ‘get to know you’ sessions was Synapse Bingo. Each person had a Bingo card containing details about their teammates that would help them get to know one another. The objective was to find the person whose answer was on the card and have them initial their square, until someone had either an entire row complete or an entire card blackout. We learned a ton of fun information about each other including that Ricardo wanted to be doctor as a kid, Rebecca has a crazy cat, and Erik is obsessed with Chai Lattes! You don't have to be a softy to take the marshmallow challenge. It's a famous exercise and was a great way for us to challenge the way we approach problem solving. The objective of the challenge is to build a freestanding structure with spaghetti, string, tape and a marshmallow...and we didn’t fare well, with only one team actually being able to complete the task! This TED Talk describes the various levels of success that people have with it. Sounds like we should all consider a trip back to Kindergarten. It was certainly hard to head back to Toronto when the trip wrapped up. Mostly because it was the first time we had all been together as a group and it was so great to be able to spend time getting to know one another better. I know we're lucky though...it is truly a special situation to have two teams so in step with each other despite the 5,000+ kms that separate us. How Do You Know If Your Organization Needs Training? Overwhelmed, Distracted, Impatient: What's an L&D Department to do about the modern learner?